Ships from and sold by Botley Store. 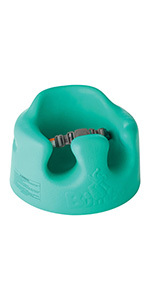 For the Ultimate Three Stage Seat Bumbo introduces the Bumbo Multi Seat, the next step in seating for your child. 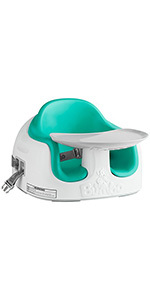 This 3-in-1 seat functions as a Floor Seat, Booster Seat and Feeding Seat. 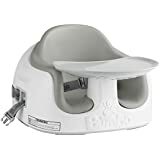 The Bumbo Multi Seat is ideal for babies who have already mastered the Bumbo Floor Seat and will see your child through to the toddler stage with a seat that grows with your child. 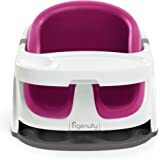 With attachment straps to easily convert from a floor seat to a booster seat, you can begin enjoying key developmental milestones from feeding to playtime as soon as your child can begin to sit unassisted. The seat's foam pad cushions your baby and can be removed to create more room as they grow. The removable tray attaches to the back of the Multi Seat for easy storage and transport. 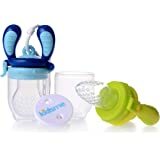 Recommended for ages 6 months - 36 months. 4.0 out of 5 starsExcellent Chair. Probably the best option for us. When my LO (little one) was ~one month old she didn't like it. But after she was maybe 4 months and a bit bigger she started to appreciate it. 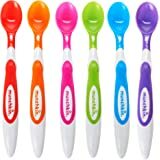 It's comfortable, easy to clean, and the tray is super handy. She eats all her meals in it. My only problem is that the straps don't tighten as much as I would like. My LO is apparently in the 50th percentile and we have the straps as small as they'll go, but they're still quite loose. Also, we have it strapped to a bent-wood chair and the straps barely tighten around it. In fact, they aren't quite tight; just enough so that it won't slide off. It does have rubber feet on the bottom, so at least it won't slide easily. 1. Tray. So glad I opted for one with a tray. If she sits at the table she grabs everything within reach. This way she can sit a bit away and only reach what we give her. 2. Easy to clean. Just a damp cloth and it's back to normal. 3. Rubber feet keep it from sliding on the wood chair. 5. Liner can be removed when my LO grows larger. 6. Straps to the back and bottom of the chair. 1. Straps could tighten down more on the the child and the chair. Don't like the giant pole in between my baby's legs. Astronomically difficult to clean - lots of crevices inside & outside. 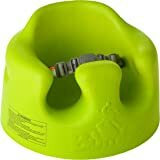 Fine/good as bumbo chair for large babies, but as a booster/high chair, it's useless. The tray CANNOT go in the dishwasher or soak in water and has crevices inside that WILL grow mold. Great seat for my 6 month old. 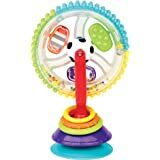 Great for feeding and play time. My LO loves it whether it be on the floor or strapped in the chair. I love how this seat has a compartment to store everything (straps, table, foam seat pad). I also love that the seat can be adjusted in hight, as I have a pretty high tables and allows for comfortable seating at the table with the family. I also love that this seat is very convenient for travelling with. Great upgrade from the original seat, as this one also has stages and can be used for quite a bit longer as my LO grows. 3.0 out of 5 starsNot worth the price. 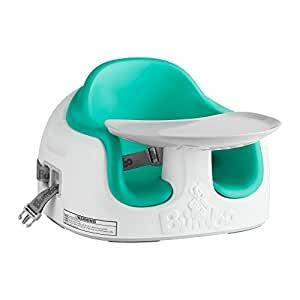 Not worth the money, wish I just went with the regular bumbo seat. 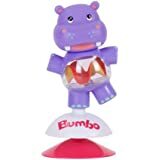 This one cannot be used until baby is able to completely sit up on their own. The seat part isn’t deep. Where the regular bumbo is very deep so they can use it prior to sitting up. Which is what I would have preferred. I do like this for travelling though. 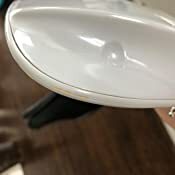 5.0 out of 5 starsPortable, comfortable, a great purchase. 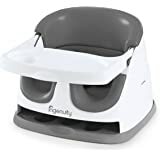 Not only is this a great high chair, it's a floor chair for learning to sit, a chair for sitting in front of an activity centre. Super portable, unlike a lot of other high chairs for a similar price point. I also love that it can grow with your baby too. Well worth it. 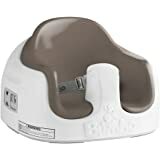 5.0 out of 5 starsLove the Bumbo chair! Love the Bumbo chair and so does our child. 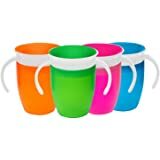 Makes sitting up raise for them and is a great product to bring with you when you don’t want to drag around a high chair.. very universal and easy to clean.